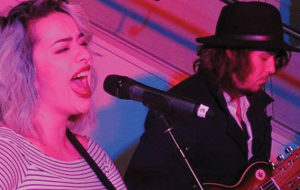 Taylah Barker & Luke are a two piece band, who make their living from teaching and playing music. Taylah Barker is a vocalist and songwriter from Northland, who has performed at venues and events all over the region including, the Whangarei Fritter Festival at Toll Stadium, The Paihia It Festival and opening for Fly my Pretties on their Homeland Tour. Taylah Barker & Luke’s original music has a uniquely fresh sound paired with an underlying rawness. Their inspirations include Rootsy New Zealand music, contemporary jazz and the driving rhythms of Classic rock.